QUESTION: What are your thoughts on “showing off” your horse? Do you like, or even expect a rider to show off their horse’s best qualities? 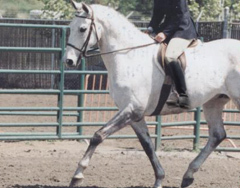 An example could be: trotting down the length of the arena if the horse is an exceptionally good mover. What kinds of “extra credit” moves would impress you and what would not? Many successful horsemen and women excel in maximizing their horses’ best qualities and strengths. In the average two minute performance, the manner in which a competitor enters the arena, conducts his courtesy circle and ends his performance are opportunities many exhibitors miss. But not the judge! This question addresses the attributes of showmanship that would impress our judges and strengthen the score of a performance.